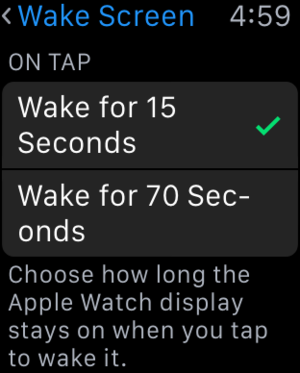 Set your Apple Watch so the screen stays on for a longer period of time. My daughter is a paramedic. As a paramedic she takes people’s pulses all shift long. 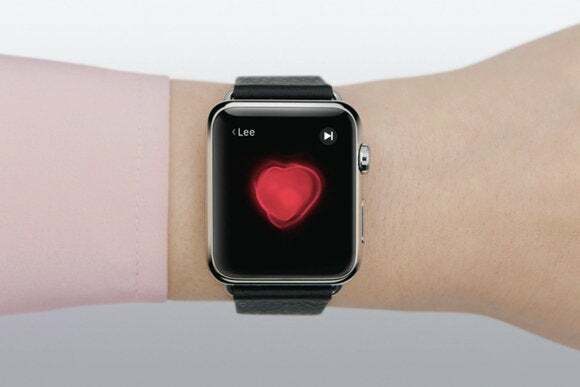 However, her Apple Watch face goes blank before she is finished taking a pulse, making it impossible to wear her watch while working. You can set a Watch to stay awake longer. He wonders if there’s a way to keep it visible. 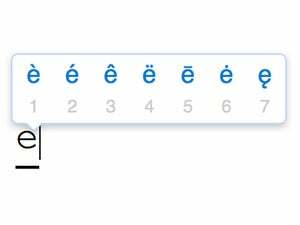 In watchOS 2, there is. From the Home (honeycomb of apps) screen, tap Settings. Tap General > Wake Screen and swipe down to On Tap. Change to Wake for 70 Seconds. This will drain the battery on the Watch more quickly than a default 15-second sleep, but given that she’s looking at a Watch face, which uses an Apple-developed native app and doesn’t need to interact with an associated iPhone, the difference should be minimal.